With the use of any electrical appliance, it is important to observe all basic precautions to minimize the risk associated with use, such as electrical shock, fire, or injury to persons. If this unit is installed in a bathroom or kitchen, power must be supplied from a ground fault circuit interruptor (GFCI). Read these instructions before using your Centrax® fan. 3. Connect the Centrax® to ventilating system using 6 #6 screws (supplied) when connecting to rigid duct or 2 cable ties (supplied) when connecting to flex duct. CAUTION: Before carrying out any maintenance or servicing, ensure the unit is disconnected from the main supply. FOR GENERAL VENTILATION USE ONLY. DO NOT USE TO EXHAUST HAZARDOUS OR EXPLOSIVE MATERIALS AND VAPORS OR DUST. Use supply wires suitable for105°C. Use this unit only in the manner intended by the manufacturer. If you have questions, contact the manufacturer. Before servicing or cleaning unit, switch power off at service panel and lock the service disconnecting means to prevent power from being switched on accidentally. When the service disconnecting means cannot be locked, securely fasten a prominent warning device such as a tag to the service panel. Installation work and electrical wiring must be done by a qualified person (s) in accordance with all applicable codes and standards, including fire-rated construction. When cutting or drilling into walls or ceilings, avoid damaging electrical wiring and other hidden utilities. If this unit is to be installed over a tub or shower, it must be marked appropriately for the application and be connected to a GFCI (Ground Fault Circuit Interrupter) protected branch circuit. NEVER place a switch where it can be reached from a tub or shower. When used in an attic install exhaust side of the fan facing an unoccupied space. This unit has an unguarded impeller. Do not use in locations readily accessible to people or animals. Sufficient air is needed for proper combustion and exhausting of gases through the flue (chimney) of fuel burning equipment to prevent back drafting. Follow the heating equipment manufacturer’s guideline and safety standards such as those published by the National Fire Protection Association (NFPA), and the American Society for Heating, Refrigeration and Air Conditioning Engineers (ASHRAE), and the local code authorities. Remove the screws from the electrical box cover plate. side of the electrical box. Run the incoming power through the strain relief or conduit and knockout. Secure the strain relief and reattach the electrical box cover. The fan is now ready for use. Inspect the product at least once every 12 months for excessive dust and dirt build up on the impeller (more often in dusty environments). Clean as necessary. 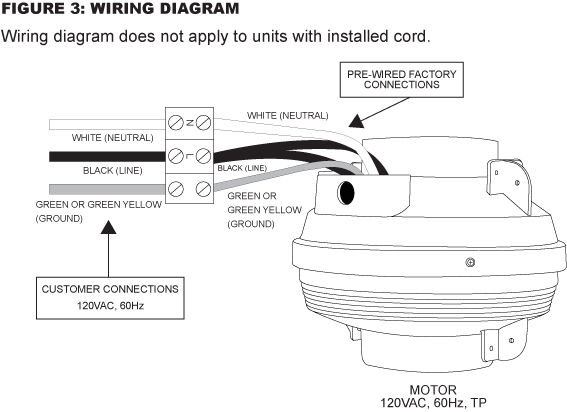 The unit must be disconnected from power during inspection and/or cleaning. Subject to the following limitations, Suncourt® Inc. (manufacturer) warrants that the Centrax® centrifugal fan will, for 5 (five) years from date of original purchase, remain free from appearance of defects in workmanship or materials. This warranty is subject to the following limitations: (a) manufacturer’s liability is limited to the replacement or repair of the unit, as decided by the manufacturer; (b) a defective unit must be returned, prepaid, with proof of purchase, to Suncourt; and (c) this warranty does not apply to defects resulting from the alteration, abuse, accidental damage, unauthorized repair, or misuse of the unit. This warranty is given in lieu of all other warranties, guarantees, and conditions on manufacturer’s part, and the manufacturer shall have no tortious or other liability in respect to this Centrax® centrifugal fan. Actual product appearance may differ from illustrations. Suncourt reserves the right to modify any or all of its products’ features, designs, components and specifications without notice. NEVER expose your Centrax® Centrifugal Fan to airflow temperatures exceeding 140°F (60°C). 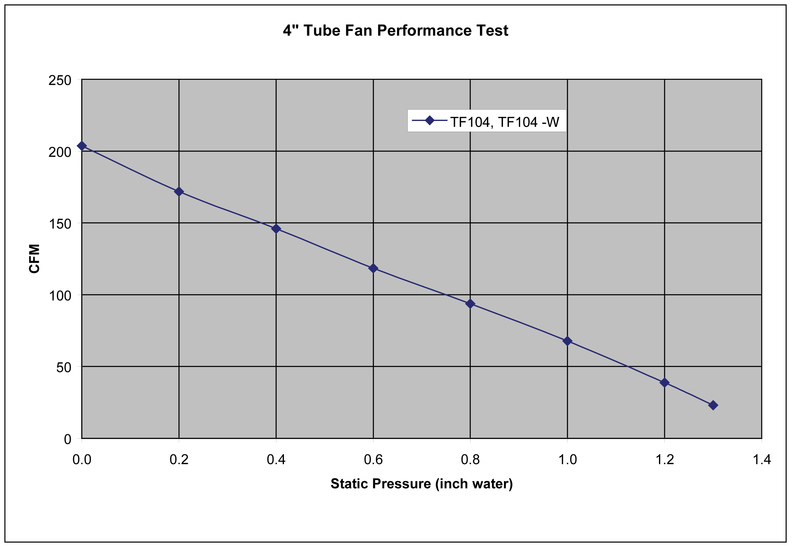 How much power does a Centrax® Centrifugal Fan use? What type of motor is used in Centrax® Centrifugal Fans? The electric motor is a Class F sealed, thermally protected, auto-reset, external rotor motor with ball bearing. 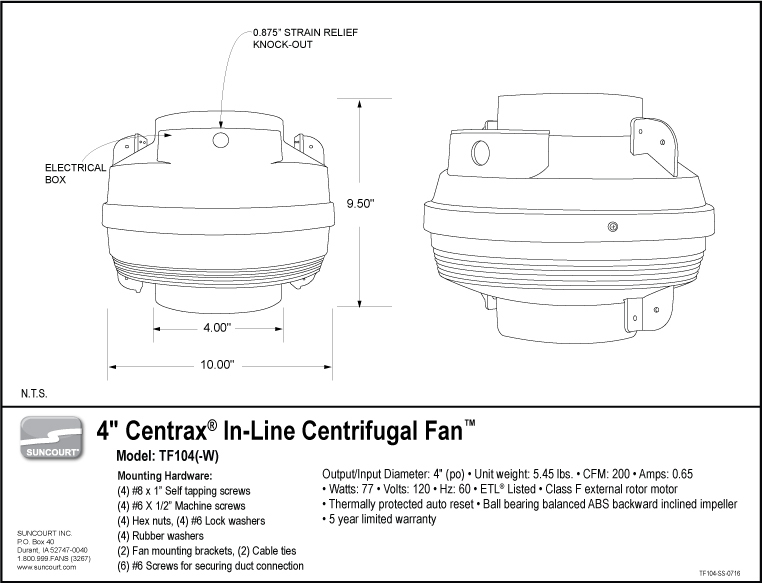 Can I use a Centrax® Centrifugal Fan for dryer boosting? 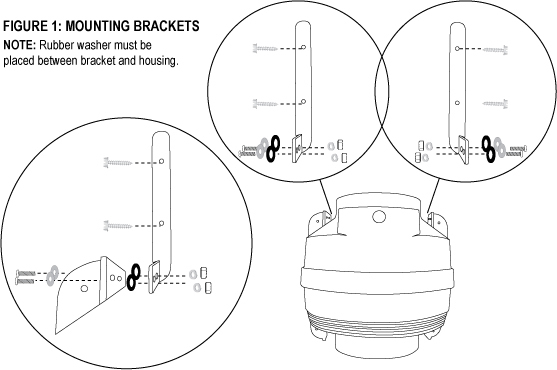 Yes, Suncourt has a dryer boosting kit that includes the fan, current switch and mounting hardware for the installation. Can I use a Centrax® Centrifugal Fan in a humid environment? Yes, the Centrax® Fan utilizes a sealed motor that can withstand humid/damp environments. Please use the appropriate strain relief for your application. Can I use a rheostat or fan speed control with Centrax® Centrifugal Fans? Suncourt has a speed controller available that is matched to the Centrax® line of fans. A thermally protected motor contains a fuse that will cut off power to the motor should the motor temperature exceed a safe limit. 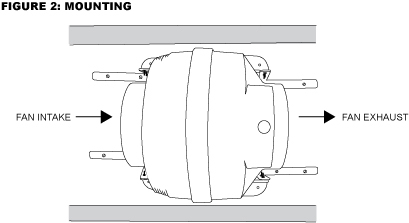 Centrax® Centrifugal Fans contain an auto-resetting feature. What are the impellers made of? Glass filled nylon with a flame rating of UL94VO. Can I build-in a Centrax®, i.e. drywall or panel over it? No. The Centrax® must always remain accessible for service, cleaning or repair. Can I use the Centrax® to vent outside air? What is the lowest airflow temperature for a Centrax®? To maintain good oiling of the motor bearings, we recommend a minimum temperature of -30 °F (-34.4°C). 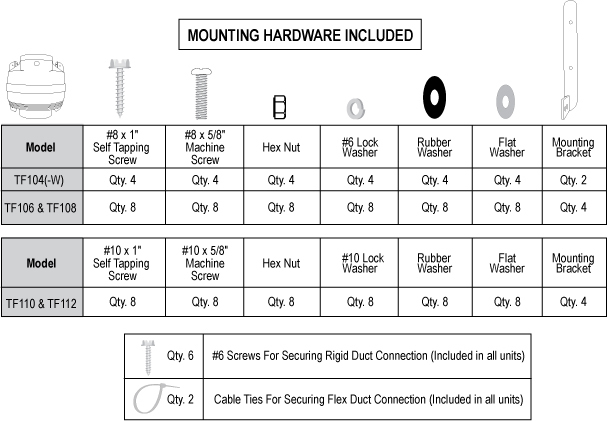 Provided in the box is the hardware for mounting the Centrax® Centrifugal Fan. You will need to provide an appropriate strain-relief and the code-correct wire to bring power to the fan. You will also need a screwdriver, duct tape, drill, and pliers depending on your installation. The Centrax® fans have been rigorously tested to the Standards of Underwriters Laboratories Inc. and have an ETL listing.